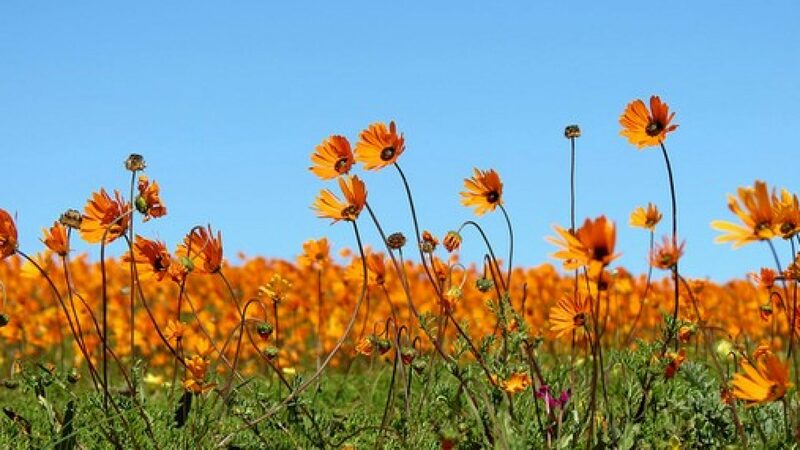 The pretty town of Springbok is found in the heart of the Namaqualand within spitting distance of other typical Namaqualand towns like Alexander Bay, Pofadder, Garies, Kleinzee and Port Nolloth, 570 kilometres north of Cape Town. Originally called Springbokfontein, Springbok is the administrative capital of the region as well as the last major town in South Africa on the only main road north, before the border into Namibia. Springboks perfect position as a stopover en route to Namibia and its repute as the flower capital of Namaqualand have placed Springbok on the map. It’s not difficult to imagine the prominence of Springbok antelope in the narrow valley wedged between the high granite domes of the Klein Koperberge (copper mountains) that must have lead to the town’s rather obvious name. By all accounts the attractive town of Springbok is formed around a central koppie or hill, known by locals as ‘klipkoppie’ (stone hill) that was used by the Boers during the Second Boer War as a fort for its incredible vantage point. Views from here across the valley are beautiful, as are the examples of flowers during spring every year that not only blossom on the little hill but in the surrounding scrubland as well. The koppie is also the site of a modest stone church built in 1921 and the remains of the walls of the original fort. There’s enough reason to spend a couple of days here to visit the Skilpad Wildflower Nature Reserve, particularly in August and September, the Augrabies waterfall, the Goegap Nature Reserve, the Blue mine – Springbok’s first mine, and the war graves from the Anglo Boer War.